Has Annabeth accepted the offer from the Belles? 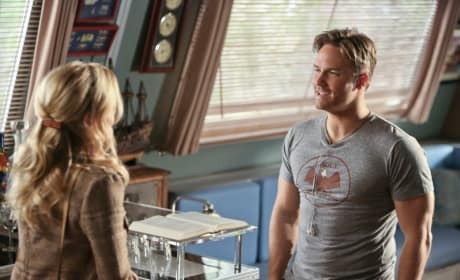 Whatever is happening, she certainly looks happy about it on Hart of Dixie. What is going on at this afternoon tea that has everyone looking so expectant? Check out "Act Naturally" the 13th episode of the show's third season. George does his best to convince Tansy that Scooter is fooling everyone. Will she listen or give Scooter the benefit of the doubt? Will Tansy believe George when he tries to convince her that his old nemesis hasn't change a bit? 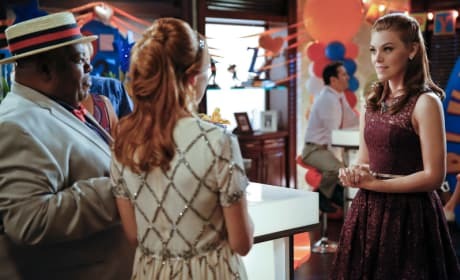 Lavon and Joel throw Zoe a birthday bash but is she happy with the results in "Act Naturally"
The Belles make Annabeth an offer that could be the perfect distraction. Will she accept it on the next Hart of Dixie?? 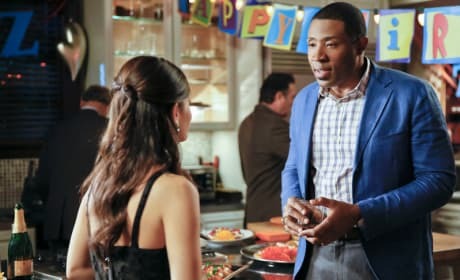 Zoe reluctantly attends her own birthday party on Hart of Dixie. "Act Naturally" is the 13th episode of the show's third season. It's so lame, it's like moving back in with your parents after college. Permalink: It's so lame, it's like moving back in with your parents after college.